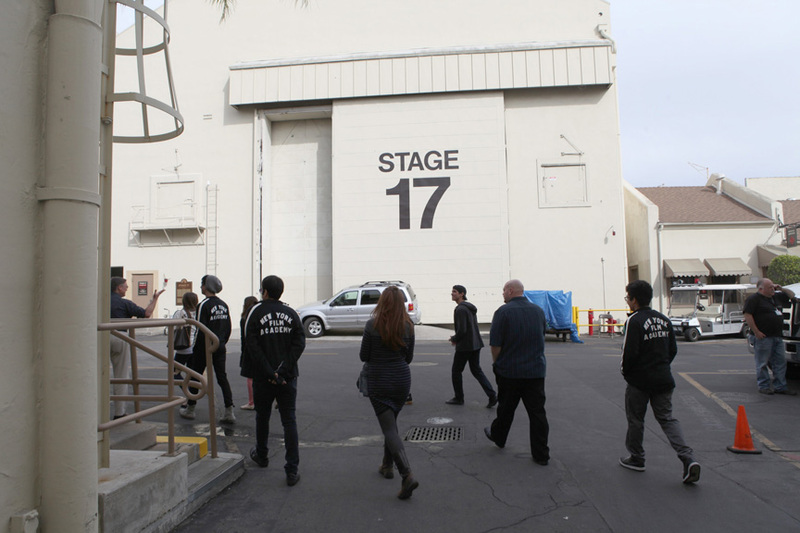 New York Film Academy Acting for Film students were recently invited to tour Paramount Studios, and visit the set of NCIS: Los Angeles, the popular television drama starring Chris O’Donnell and LL Cool J. 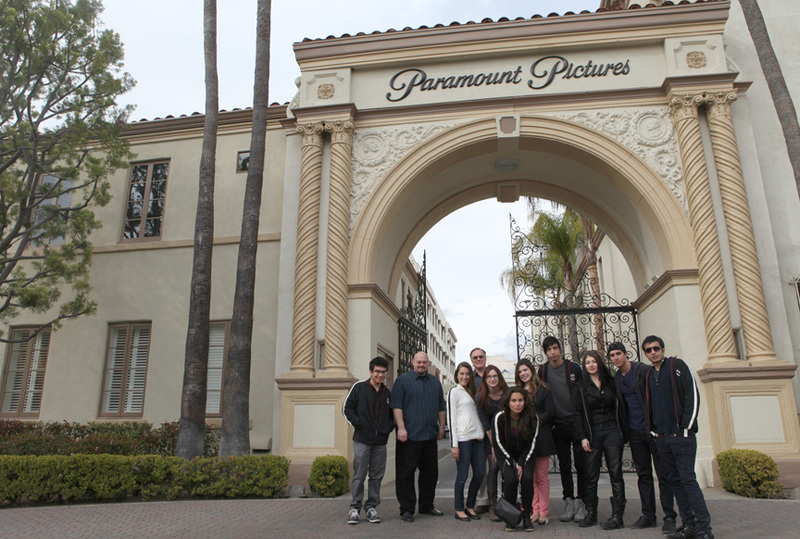 Paramount Studios, the last major studio in Hollywood proper, moved into its current home in 1927. 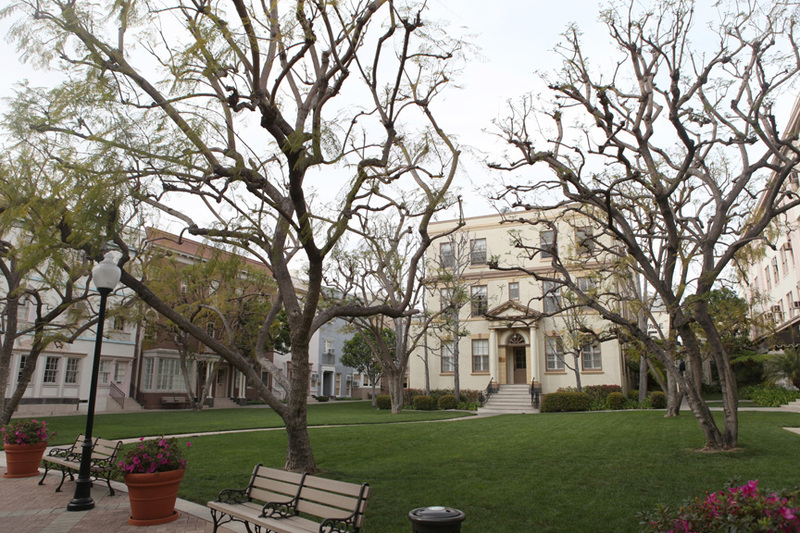 Paramount built its legacy as the home to legendary actors and directors including Mae West, W.C. Fields, D.W. Griffith, Cecil B. DeMille, the Marx Brothers, and Claudette Colbert. 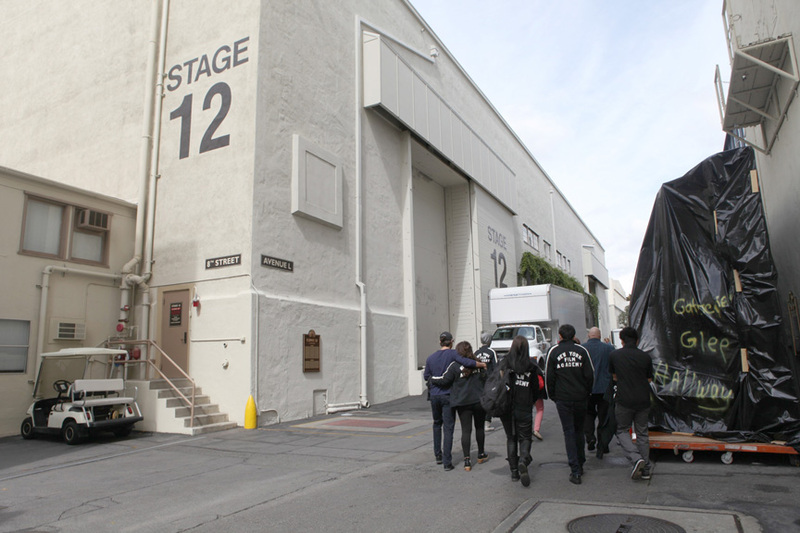 Students entered the historic lot, walking past trailers and crew working on the hit TV show, Glee, before moving onto the Technicolor building. 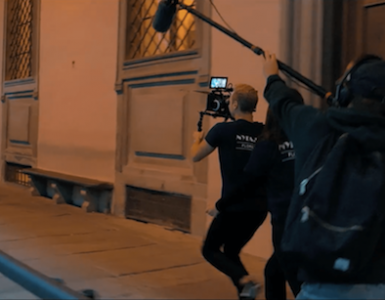 Working on projects for HBO and Marvel, Technicolor has the highest security for any post-production building in the world. Inside the conference room, Erik Whitmyre, Co-Producer for NCIS: Los Angeles, spoke to excited students about all aspects of filming and post-production. He spoke about what makes an actor great, the importance of physical continuity (while being able to alter the emotional performance of his/her character), attitude on set, how the voice translates on film, and what makes a great close-up. 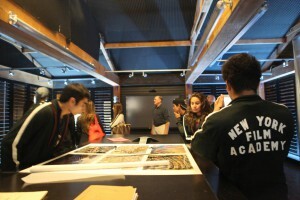 Students then visited the editing team, where Assistant Editor Eric Wilson showed them the latest episodes they were working on. 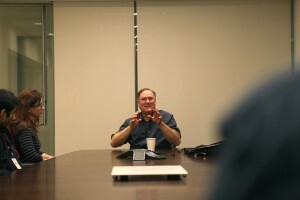 Whitmyre explained the evolution of technology, the systems that editors had worked on in the past, and what they are working with now. 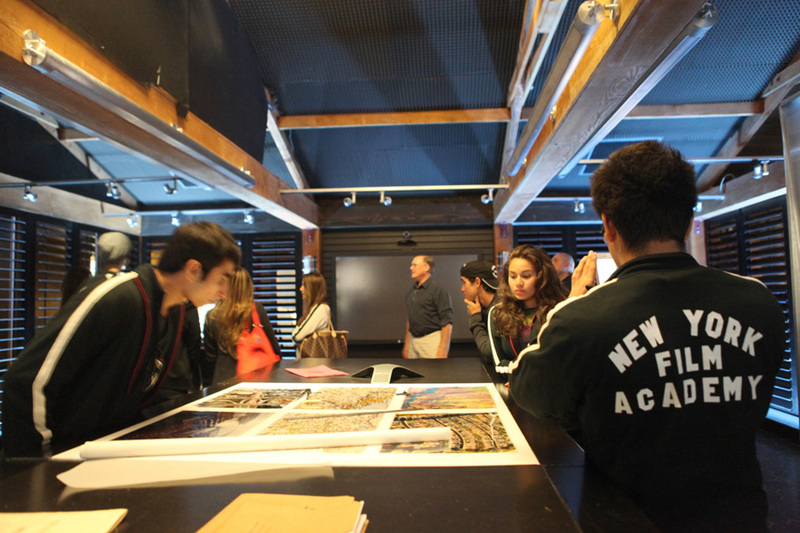 Students also spoke with VFX Supervisor Robert Konuch. 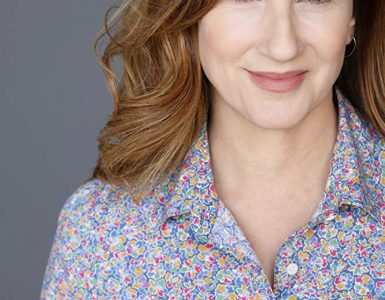 Along with Russell Welch and James Olney, the team had overseen the effects on CSI: Miami, and are now working with the NCIS: Los Angeles crew. Robert and the team were busy at work, adding snow to a winter scene shot in the desert. 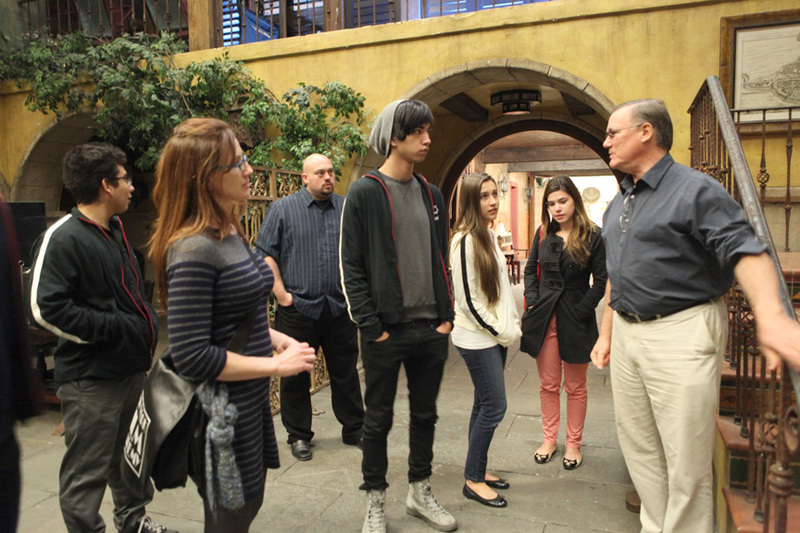 Before leaving the NCIS set, students got to take a visit to the set of NCIS headquarters. 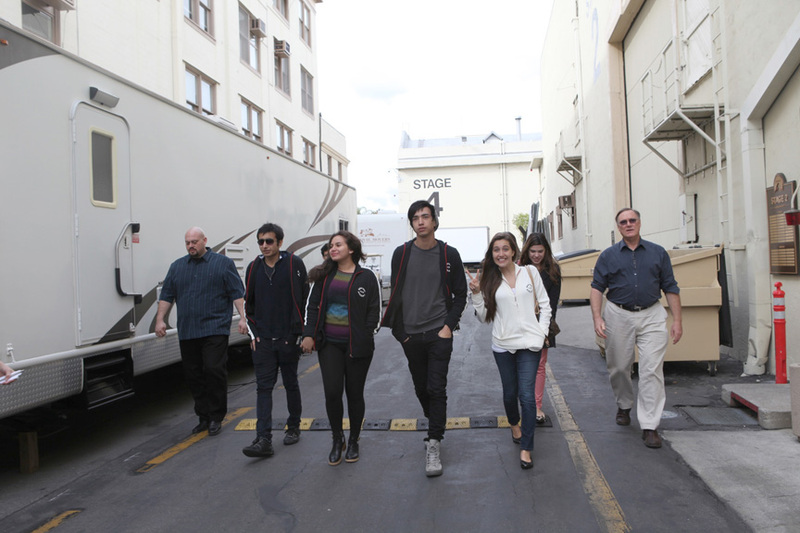 The students ended their tour at the studio’s Bronson Gate, where Norma Desmond entered the lot in Sunset Blvd. Legend has it that the upper filigree was added to the gate after a throng of adoring female fans swarmed security and climbed the gate, trying to chase silent film star Rudolph Valentino! Congrats to our Degree Program Graduates in Los Angeles!